Meet Mirriam Angon (above), Spanish national but African veteran and Guest on the most recent edition of the Chanters Lodge Experience with the Milli Jam Ingredient featuring Jay Hillz. It was Mirriam’s second experience on our show and on this edition Milli Jam was the ingredient as well as the feature because Jay was indisposed. The mood on the show was good, mainly because Arsenal had won away to Manchester City for the first time in years. MJ and I are both staunch Gooners! Mirriam told listeners that the first time she’d been on our show it had been to talk about Feeling Africa’s lodge in North Luangwa National Park. “Do you still have the lodge?” Wondered Milli Jam, and Mirriam confirmed that they did, but at the moment it was closed due to the rains. “So tell us about the Feeling Livingstone Lounge” continued Milli Jam. Mirriam said that the lounge had been open for about a month and that it was located in Kabompo Road in downtown Livingstone, right next to Livingstone Fire Station in the former premises of Fezbar. The lounge is a restaurant and bar and has a Mediterranean menu featuring mostly dishes from Spain but from other Southern European countries too! The chef is a Spanish national whom they recruited from Victoria Falls in Zimbabwe. The girls offer cocktails, a full bar and a lovely lounge area where guests can relax in a quiet cool atmosphere enjoying their meals and drinks, listening to cool music. Prices are fair and they have created an environment where guests can sit around and relax after a great meal. For now they are open 08.00 -23.00 hrs daily, but as with all new projects they are still reacting to guest requirements. Currently they are employing ten people on the project. The music on our show was good. We opened with our 2015 theme, TINA by Fuse ODG. We featured tracks from James Bay, Sia, JK, Ed Sheeran, Chimz Kelly and Mark Ronson featuring Bruno Mars. Our oldie of the week was Salma’s ‘Overtime’ and the prize we give to the first person to text us the name of the artist on the oldie was quickly snapped up! Lucky Felistus won dinner for two with drinks at the lodge. My pick of the week was ‘Doing It’ a new track from Charlie XCX featuring Rita Ora. We closed with ‘Hotel’ from Kid Ink featuring Chris Brown. Mirriam told us that she had been living and working in Africa altogether for more than ten years. Before becoming involved in Zambia she had spent two years in Senegal ‘with chimpanzees’ and another two years in Uganda ‘with the mountain gorillas’. She loved Uganda describing it as the most beautiful country in Africa. She also loves being in Zambia and really hopes their lodge in North Luangwa goes from strength to strength and that the new lounge project is a great success. Single she described herself as ‘spoken for by someone very far away”. “Spain?” asked Milli Jam. “No!” Replied Mirriam. Hailing from Madrid Mirriam is a Real Madrid fan. We tried to convince her to support Arsenal as that day’s team had three Spaniards playing! She likes soft music but went on to say that her favourite band is Queen! ‘Lol’ We laughed. Asked where she would like to be and what she would like to be doing 10 years from now, Mirriam said she would like to be “alive and on holiday with someone who loves me.” “Awww!” We said. Meet Stephano Canton (left above) and Paolo Veriti (right above), Guests on the most recent edition of the Chanters Lodge Experience with the Milli Jam Ingredient featuring Jay Hillz. The Experience is our weekly radio show airing every Sunday at 20.30 hours on Zambezi 107.7 fm, Livingstone’s leading local radio station. As you might guess from their names, Steph and Paolo hail from Italy, Stephano intends to settle in Zambia and revealed to listeners that just the previous weekend he had married Claire, his Zambian girl friend with whom he is very much in love! Both Steph and Paolo hail from a small town in Italy about an hour or so north of Venice. Paolo was visiting Zambia, staying at Chanters Lodge, helping Stephano to set up their new business in Livingstone. Our Italian guests told our listeners that they had recently opened a new establishment in down town Livingstone and currently were offering 18 different flavours of home made Italian ice cream. Their new industrial pasta machine had just arrived in the country so they would shortly be offering pasta as well as pizza at their new Canton Restaurant. They told us that together with the garden the restaurant can accommodate 200+ customers and that currently they employ 11 staff, though finding well trained workers was proving to be a challenge. They also offer Zambian food. Stephano had first come to Zambia as a volunteer in Northern Province and had fallen in love with the country, the people and the weather. The music on the show was good. Stephano asked us to play Kumanda by Chico Wise ft B1, his new bride’s favourite track, so we did. We also played Chris Malinchak’s ‘So Good’. Others were from Slap Dee, Jesse J ft Ariana Grande and Nicki Minaj, Redlight, Trey Songz and ShiftKey. The oldie of the week was by van Morrison but no-one won the prize we offer of a dinner for two at the lodge to the first person to text us the name of the artist on the track. My pick of the week was a new track from Magic! ‘I Would’. Our Guests told us that they have a Karaoke night every Friday at the Canton and hope in future to have a live local band at weekends. They had not had time to participate in any of the Livingstone tourist activities having been too busy with the wedding and setting up a business. They support Udinese their local football team in Italy, famous for having brought up a lot of young players including Alexis Sanchez now a big star with Arsenal. They both love Zambian music. Paolo told listeners that he’s been married for 30 years and has two daughters, one living in Milan, one living in London. We’re miles away from even being able to provide fast, uninterrupted broadband wifi to all rooms and Guests at our lodge. How I wish we were able to consider stuff like this from Larry Mogelonski at Hotel Interacitve. “No doubt you’ve heard about Google Glass by now. If you haven’t, you better do your homework. As well, I highly recommend you scope out a tech gathering near you so you can try on this piece of hardware and learn firsthand about what it can do. I was amazed when I had the opportunity to wear a pair in late June. As Google segues from search engine hegemony into all other areas of tech, one item in its scope is your glasses, beaming information about your surroundings directly onto the inside of your lens. A bit sci-fi, yes. But rest assured, this multi-billion-dollar company is making it happen. Helping them usher in this new fashion age is Virgin Atlantic Airlines that is rolling out a plan to equip their flight attendants and check-in teams with Google Glass headpieces alongside Sony Smartwatch accessories. The idea: speed up service delivery and heighten its personalization. The technology integration will give passengers the latest updates (flight times, weather, local events, etc.) as well as assist with other potential areas of conflict like language translations. So, if companies like Virgin Group are trying out this new device, why not your hotel? Yes, Google Glass isn’t the most fashionable ornament for your face, but it’s the concept behind it that is important – utilizing new tech to heighten the guest experience. Google Glass is still in the early adoption phase, which means there are still some bugs to work out. Nonetheless, it might just be the ‘next big thing’ for your front desk, butler or concierge team. By projecting information onto glasses, it will allow your hotel staffers to maintain a better rapport with guests for two main reasons. First, eye contact; using Google Glass ensures that team members are better able to actually converse as opposed to constantly flitting their eyes onto a computer monitor. Second, by providing a heads-up display for basic information, it leaves more room for interactivity, like both guest and staffer looking at the same website on a big screen or desk clerks leaving their posts to personally direct the visitor somewhere without missing a beat. A 148-room property in Lusaka is set to become the first hotel in Zambia for Hilton Worldwide’s Garden Inn brand, the company has announced. Hilton Worldwide has signed an agreement with investors National Pension Scheme Authority to open the Hilton Garden Inn Lusaka City Centre in 2015. It will form part of an integrated, mixed use development alongside corporate and government offices in the heart of the central business district Hilton Garden Inn global head Adrian Kurre said: “The introduction of Hilton Garden Inn in Zambia marks a new chapter in the brand’s ever evolving global portfolio. The hotel will incorporate the brand’s functional signature features of a business centre, complimentary internet access, comfortable guest room desk chair and quality bedding. Guest amenities will also include an outdoor pool, fitness centre, all-day dining facility together with a garden lounge and bar. “Today’s announcement is significant as we prepare to enter another capital city in Africa and further our strategy to provide quality services and products to the continent’s expanding market,” said Hilton Worldwide Europe and Africa senior vice president, development Patrick Fitzgibbon. Christine Mwale predicts that the income of women in her village can double when they become full-time suppliers to the new Banana Enterprise Project being supported by Self Help Africa in Nyimba, Zambia. Established by Self Help Africa in collaboration with Nyimba District Farmers Association, the project will buy banana from 600 women farmers with small plantations in the area. Fruit will be dried and processed at the Farmers Association run plant, and sell dried chips to a Lusaka-based firm that sells Zambian fruit produce to supermarkets across the country. And better still, the suppliers earnings could be further enhanced as owner- shareholders in the enterprise, that has been supported with funding under Self Help Africa’s Mtukula Innovation Fund. Christine is a lead trainer in one of 16 producer groups that have been established locally to supply to the plant. As such she arranges and hosts training sessions and demonstrations on her own plantation, and is available as a first point of contact for growers in her locality. The new drying facility in Nyimba is designed to add-value to the banana that is grown in the locality, and also increases shelf life and marketability of the crop for women farmers. “At present we sell to traders who market our bananas from a trading post at the local bus depot, but this market is limited, and many bananas spoil in the heat before they are sold”, Christine says. Banana production is widespread in Nyimba, and is a farm activity traditionally undertaken by women in the community. Samsung Africa Director, IT & B2B Solutions, Thierry Boulanger, said recently during a CNBA Africa televised show that Samsung is currently developing a “Digital Village” on the outskirts of Zambia’s capital, Lusaka. The company’s Digital Village concept is a digital divide bridging solution providing connectivity and technology products to populations that would otherwise not be able to access these due to infrastructure problems. Boulanger said they are currently targeting non-urban areas with solutions in the two areas of education and health. He said that populations in the cities, such as Lusaka’s 1.461M population, are now increasingly buying smarter devices from the company a sign of a growing middle income group. Outside the cities however, Boulanger said, the lack of infrastructure means solutions like the Digital Village are more appropriate. “There are two aspects that we focus on and its health and education. How can we ensure that we have the same level of education in the rural area, and taking into consideration all the challenges that a rural area does pose, for example infrastructure, electricity availability, the security of the IT equipment, making sure that the teachers are trained… those are the solutions that we are putting in place for the rural environments. In fact we are busy developing what we call a digital village In Zambia on the outskirts of Lusaka. We are also looking at health. Our challenge is to ensure that we make use of the doctors in the most efficient manner and these are solutions we are putting in rural areas, one of them being Zambia. Recently, Samsung introduced its digital village products at an event in South Africa. The digital village includes solar powered Internet schools (like the one introduced in Zimbabwe recently), solar power generators, Solar power health care, a telemedical centre, and solar power lanterns. In July this year, Boulanger announced that it was partnering the Zambian government to help develop sectors that include construction, energy, health and education. In particular then, Boulanger said the Zambian government had embraced a strategy for implementing e-government solutions by the company. Despite our proximity to Zimbabwe we have had few, if any, Guests on the ‘Chanters Lodge Experience with the Milli Jam Ingredient featuring George Kaufela Soulchild’ from our neighbouring country, so it was a pleasure to welcome ‘Eazy Tee’ (above, filming) aka Taurai Matsokotere on to the most recent edition of the show. The programme, sponsored by Chanters Lodge, airs on Zambezi 107.7 fm from 20.30 hrs CAT for an hour each and every Sunday night. Taurai is a highly rated DJ in the area with a wealth of international experience – on the side he’s also a graduate of Cape Town University and an entrepreneur in the world of graphic design. Taurai told listeners that his company, based in Victoria Falls, Marvelworx Media, is involved in web hosting, print design, website design and television advertising. The company had initially been started up in Cape Town, but due to circumstances beyond his control he had been forced to return home to Zimbabwe and re-establish his business in his homeland. Milli Jam wanted to know how Eazy Tee had first become involved in the world of music, clubs and DJ’s and Taurai explained that he has many sisters and he had first begun playing tracks for parties at home. Impressively he also told us that he had paid his own way through University by playing at clubs in Cape Town. He told us of ‘Long Street’ in that city which has more than 60 clubs! He would play four clubs in one night in order to raise funds! The music on our show was good, we opened with tracks from The Vamps and Fuse OMG. George played numbers from Zambian artists Chisamo and B’Flow. Milli Jam dropped tracks from Chris Brown and Naughty Boy. Our oldie of the week was the Dixie Chicks with ‘Travellin’ Soldier’ but it was a tough one, and no-one picked up the prize we give each week to the first person to text us with the name of the performing artist on the track. My pick of the week was Cher’s ‘I Hope You Find It’. We closed with Rihanna’s ‘What Now’ – amidst some studio amusement. Milli Jam wanted to know what advice Taurai would give to aspiring, upcoming DJ’s (also telling us that he rated Eazy Tee in his top three all time DJ’s in the region – Milli Jam should know he’s been around the circuit and is highly rated himself). Eazy Tee told them to be careful with ‘Virtual DJ’ and that they should first learn the art of mixing with vinyl and CD’s before travelling the virtual route. He also told listeners that he is still single although ‘spoken for’ and that he has a 10 year old daughter Natasha Precious back in his home town Bulawayo. He had played clubs in more than 7 countries in the region and rated Circles in Ndola very highly in terms of audience reaction. Eazy Tee told us that his own favourite music is soul and r and b and that he loves Mary J Blige and Tony Braxton. He had done the bungee jump and he had walked with lions. He liked cricket more than football. Asked where he would like to be and what he would like to be doing in ten years’ time, Taurai told listeners that he had a newly established advertising company called Tradeazy and he hoped in ten years’ time the company would be hugely successful. A vaccine against malaria could be introduced in the world’s worst-hit countries in 2015, after the latest trial of a treatment produced by Britain’s biggest drug company reduced the number of cases of the disease experienced by babies. The results of trials published on Tuesday in Durban, South Africa, showed that the RTS,S vaccine developed by GlaxoSmithKline nearly halved the cases of malaria experienced by children aged between five and seven months and cut the number of cases in babies aged 6 to 12 weeks by a quarter. The treatment’s protection lasted for 18 months, although it waned slightly over time, and while that is not the sort of efficacy that parents in Europe or the US are used to getting in the vaccines given to their children, the malaria vaccine would make a significant difference to the outlook for those in areas where the tropical disease is rife. Every year, around 660,000 people die from malaria, most of them small children under the age of five. There are about 219m cases of the disease a year worldwide, and children who survive the serious illness can suffer damage to their health and development in their lifetime afterwards. Inventing a malaria vaccine has involved breaking new medical ground. This is the first-ever vaccine against a parasite. There are other novel vaccines in development, such as one from the US that involves injecting patients with weakened parasites. GSK says the vaccine will be not-for-profit – but it will add 5% to the cost price which will go towards further research and development work on tropical diseases. The pharmaceutical giant has spent $350m (£218m) on the vaccine so far and expects to invest $260m more before it reaches children. A team of 40 people will be needed to process the 1m pages of paperwork out of the many trials, which were held in seven Africa countries in different age groups. The Bill and Melinda Gates Foundation also put in about $200m. The dossier will go to the European Medical Agency next year and if it gets its licence, will go to the World Health Organisation for approval. It is expected that the donor-funded GAVI – the Global Alliance for Vaccines and Immunisation – will eventually pick up the bill for vaccine programmes as the treatment is deployed in malarial countries. The treatment was developed with the US-based non-profit PATH Malaria Vaccine Initiative. David Kaslow, vice president, product development at PATH, said the limited efficacy of the vaccine must be put in context. There has been great progress with bed nets and other technical measures, “yet there is still a huge disease burden out there”, he said. In that context, the vaccine has “a potentially significant public health impact”. During the trials, he pointed out, there were 941 cases of malaria averted for every 1,000 children vaccinated. Thanks to Gill Langmead from Langmead and Baker for this good article! Zambia’s pioneering rural telecommunications equipment and solutions company, Connect Africa, officially opened its Lusaka office on July 26th paving the way for a roll-out of services across the region. The company has chosen Zambia as its hub, which it plans to use as the springboard from which to launch its low cost, entrepreneur driven, information and communications technology (ICT) services to rural communities across southern Africa. Mr Jerling was speaking at the formal opening ceremony for the company’s new office in Leopard’s Hill, Lusaka attended by senior government officials, industry executives and other dignitaries. The company is aiming to connect rural communities to existing mobile networks through the deployment of innovative low cost base stations that enable rural communities to share in the mobile boom sweeping through Africa. 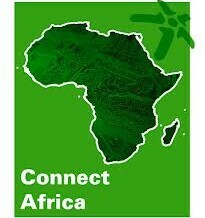 Connect Africa harnesses Africa’s entrepreneurial spirit and recent technology innovations and infrastructure to enable rural people and rural communities across Africa to improve their quality of life and economic well-being. Delivery of education, agriculture and health services, along with other public and private sector services to rural communities, will be enhanced by the new connectivity, which uses pioneering “low tower, low power” technology. This, combined with the Connect Africa Service Centre concept, will create jobs and enhance rural communities, as well as providing a tool for government to gather feedback on the effectiveness of its services. The strategy is part of Connect Africa’s “impact enterprise” model that aims to leverage innovative communication technologies for socio-economic development across Africa and beyond. Key to the model are service centres at each base station, run by local entrepreneurs who are able to provide services such as internet access, phone charging and business services to the community. The low-cost base stations also keep capital costs to a minimum, enabling construction to be funded through a revenue-sharing model based on income generation.